Universal Systems SE offers custom universal heated hoses manufactured to your specific requirements. Simply fill out the specification questionnaire below and a sales representative will contact you with information for next steps. For immediate assistance, please call us at (561) 272-5442. Please note that we can deliver most custom heated hoses within 5-7 business days. 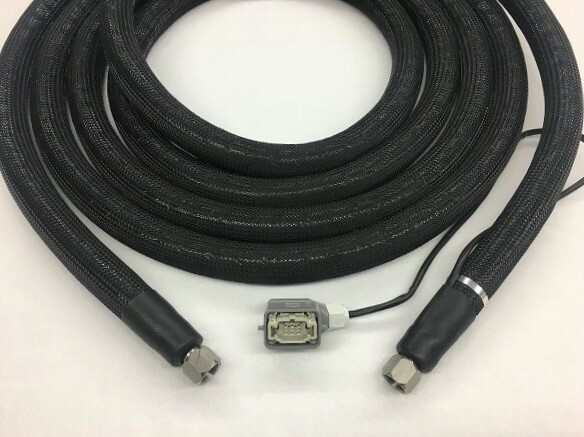 Universal Systems SE engineers can also design and develop heated transfer hoses for many different applications and materials, ranging from wax to lip stick. Custom hoses have a maximum working operating temperature of 450° Fahrenheit.